The Bat species that live in Germany use a large range of different types of roosts in the summer. Bats that live in woods and forests rear their young in tree holes or crevices. Village Bats use niches and cracks in buildings or spacious attics. Each Bat species is so highly specialised that they cannot use any lair. Bats are therefore very constant in their roosts and each year return to the same site. However, among other things, weather changes with fluctuating temperatures and species-specific annual cycles lead to frequent changes in roosts. Observations of female colonies show that even mothers with their young can change lairs several times within a few days. This results in a large demand for suitable lair options, as a single female colony uses numerous roosts in the summer. This is why there is a regular shortage of suitable Bat roosts, both in built-up areas and in forests. 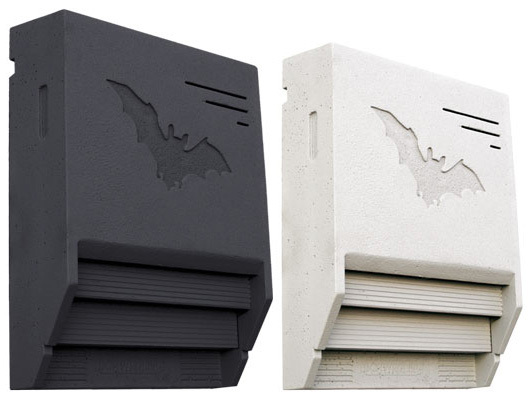 SCHWEGLER has extended its product range for efficient Bat protection and has developed the 1FTH Bat Box for universal use, which can be installed in the woods or attached to structures. 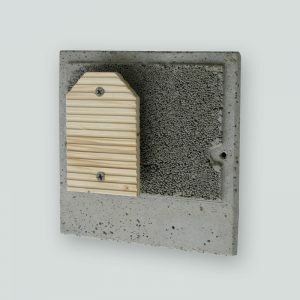 A Bat Box with diverse interior geometries has been designed, based on the most recent experience and current results of Bat research. 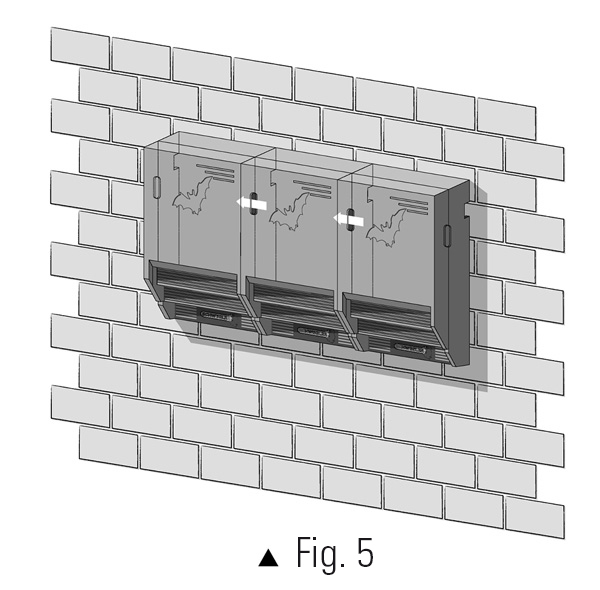 This Bat Box integrates five roost chambers with different properties (see Figure 1 + 2). The hanging areas not only differ spatially but are also climatically differentiated. The smallest Bat species such as Pipistrelle, Soprano Pipistrelle and Whiskered Bats find their ideal lair in the conically tapered gaps of the front area. Larger species such as the Serotine Bat and the Common Noctule Bat find ideal summer and mating roosts in the spacious areas. Different chambers are interconnected, so that it is possible to change hanging area within the roost. The open rear panel allows access to the inside of the structure if necessary. The most important new feature of the roost in the new ventilation (supply air) we have developed. 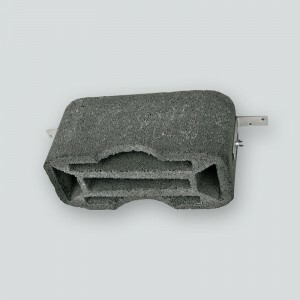 It ensures the best air conditioning, both for individual animals and for larger groups. The special material used for the Universal Summer Roost 1FTH has been matched optimally to the needs of Bats. For example, it is able to store surplus moisture and to emit it during dry periods. This means a continuously balanced microclimate is created inside the 1FTH roost. 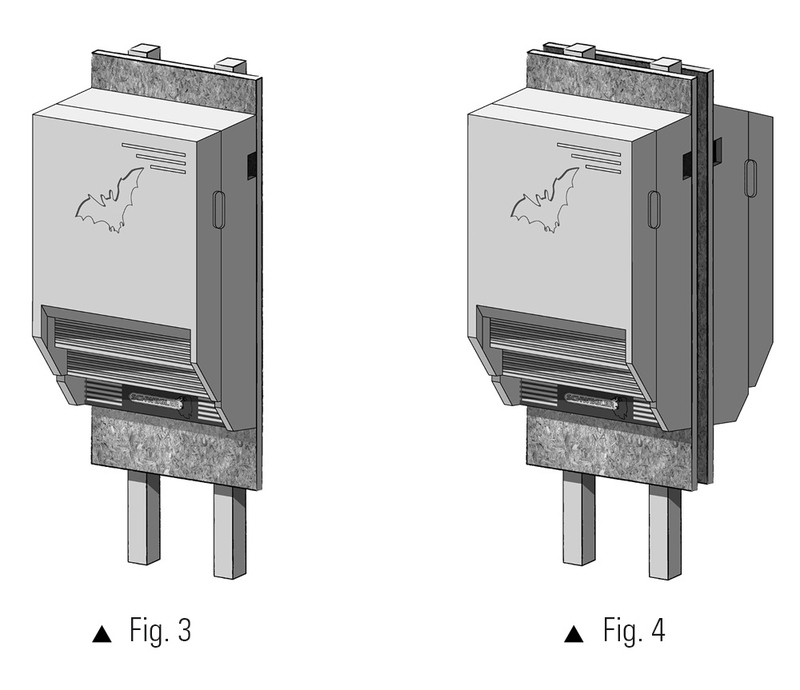 It is possible to install a row of several type 1FTH roosts using a recess in the side with predetermined breaking point (Figure 5). Reduces the lack of suitable tree cavities and gaps in young forests, reafforestation and parks. To this end the 1FTH is installed, for example, on raised hunting hides or on stud walls (Figure 3 + 4). 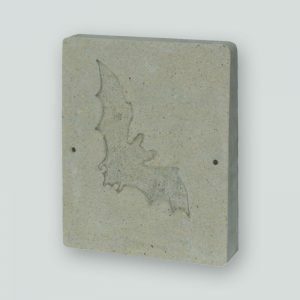 Occupants: Woodland Bats such as the Brown Long-eared Bat, Nathusius’ Pipistrelle, Brandt’s Bat, Common Noctule and others. 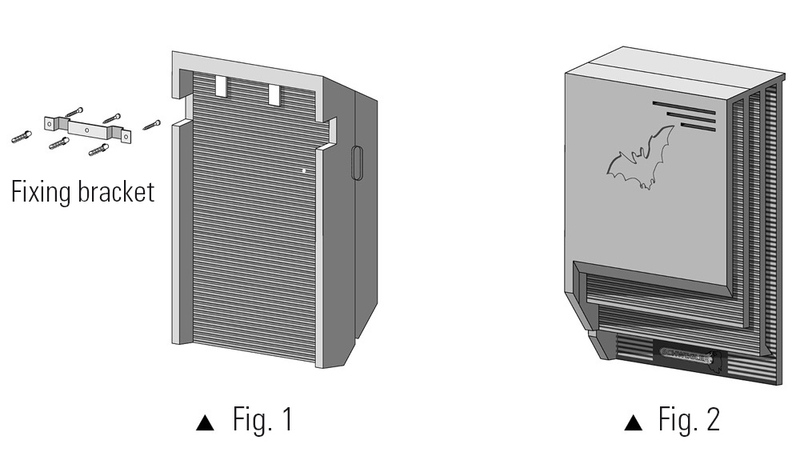 Use the enclosed fixing bracket (Figure 1) to install on building façades and structures, e.g. bridges across bodies of water, viaducts, as well as inside buildings, e.g. attics. 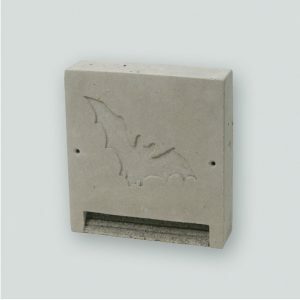 Also in combination with other Bat Boxes. Occupants: Serotine Bats, Pipistrelle Bats, and others. Installation height: At least 3 m high. The specially shaped fixing bracket is fixed onto the respective background with screws and the 1FTH is hung up in it. 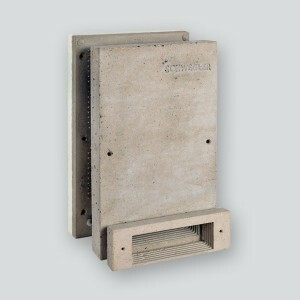 Material: Weather resistant and breathable SCHWEGLER wood concrete. Interior finish: Corrugated SCHWEGLER wood-concrete and untreated corrugated plywood. Zinc-plated hanger. Cleaning and inspection: Self-cleaning. Cleaning is not necessary. Easy to inspect from underneath using a torch or mirror. The Universal Bat Box 1FTH cannot be opened.